Hi everyone! 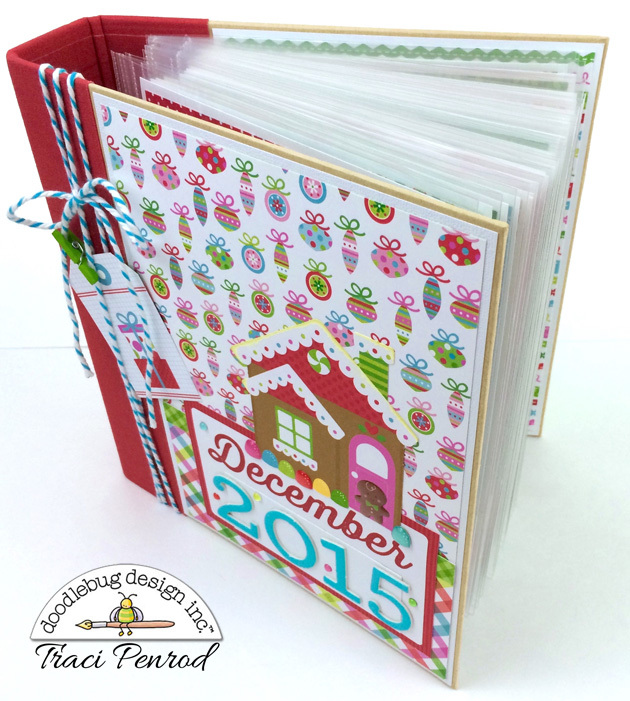 Traci here and I'm back to share my Sugarplums project with you! According to Ali Edwards, the creator of the original December Daily project, the album is created to document the 25 days leading up to Christmas. "The simple goal", according to Ali, "is to capture the spirit of December via one story per day". I've seen many versions of this fun project on blogs and Pinterest, but I decided to create my mini with a bit of a twist....pockets! This way, each day has a page for photos and a pocket for other items -- lists, recipes, receipts, tickets, notes, additional photos, etc. 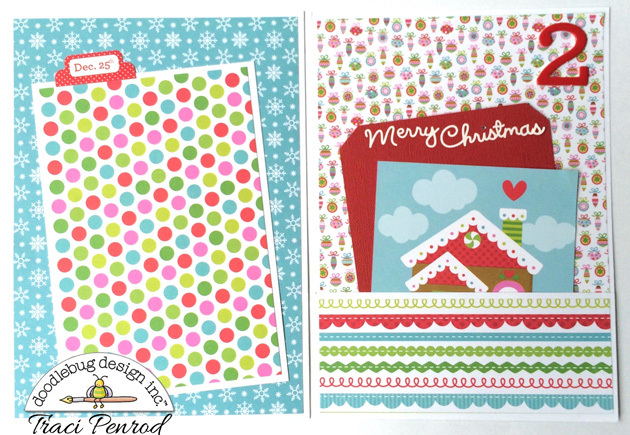 I love all the patterns and colors in the new Sugarplums collection. 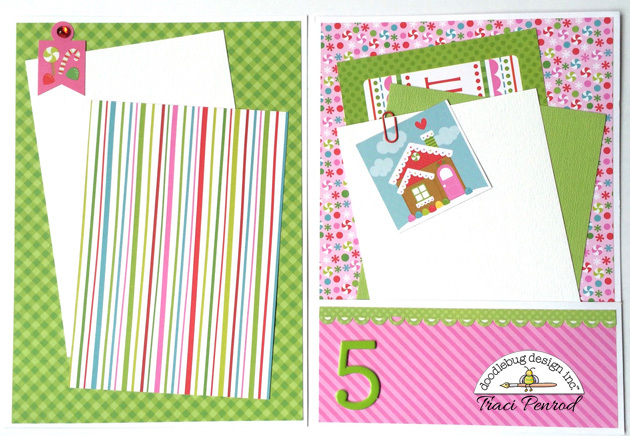 Mixing and matching the papers on the 25 pockets/pages made for a colorful, fun album! I combined 12x12 and 6x6 papers, lots of embellishments, brand new Chunky Twine, and a Simple Stories Sn@p album. What a cute album, I love the Sugar Plum collection! Gorgeous mini album and I love your twist with the added pockets! Those pockets will be so perfect for so many fun items, especially holiday recipes! 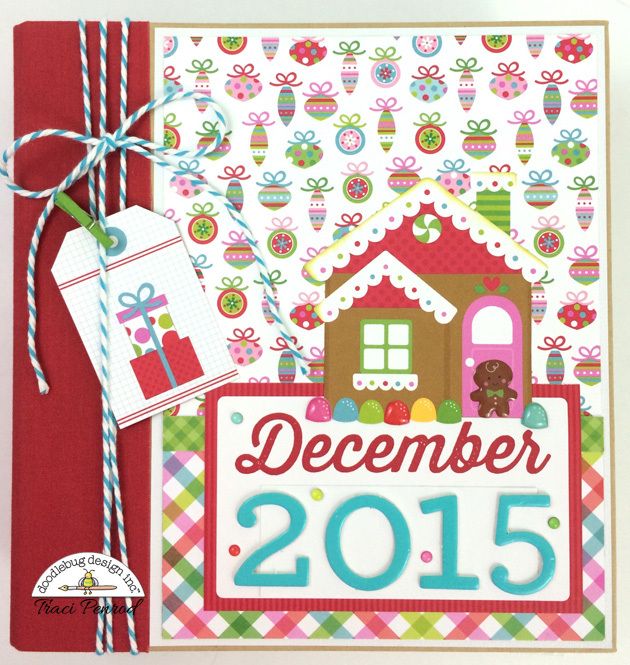 I pinned this so I can peek at in the near future for the holidays! These papers are so cute I have fabric like the green leaf with the berries. 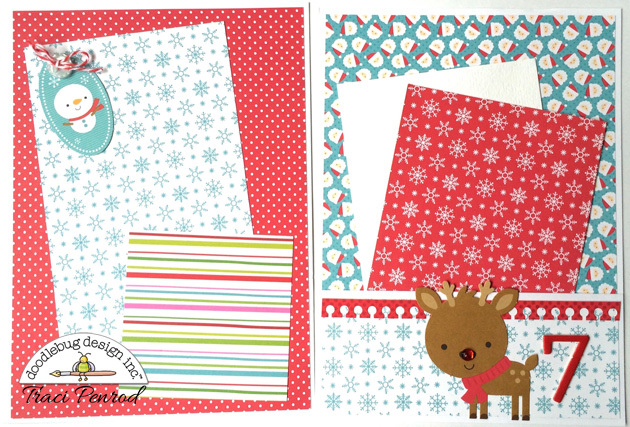 The Santa and the ornament papers are adorable. I can't wait to get my hands on a pad of it! Shared this absolute awesomeness with my Facebook friends!!! Love this!! !